UPDATE! And 10 Things Helping Me to Declutter! My kiddos have been gone a full week and I am happy to hear they are having a wonderful time and not missing us at all. 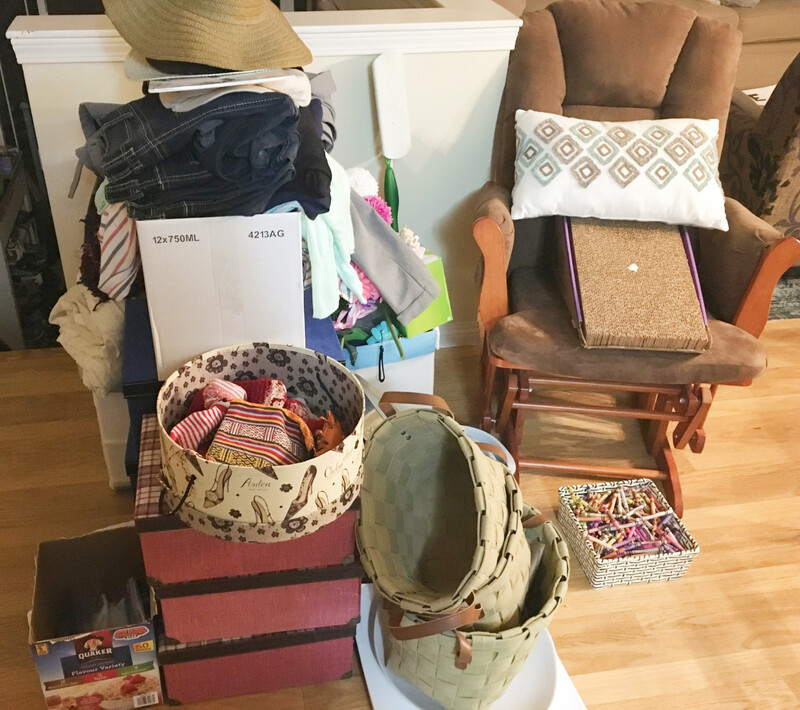 I've worked most of the way through my decluttering course with Allie Casazza, and have made some amazing progress on the decluttering of my home. Amazed at how much excess there was and still is.... And I am so excited about the headway I have made! I wanted to come on and share how things are going. How my mindset has shifted. How becoming aware of the clutter and disarray has changed how I look at things in my home, and also how I look at things in stores too! I just had a mini getaway with my hubby to the southern island and it blew me away how much I could look, enjoy and walk away from things. Not to say we didn't pick up a few things on our trip, but there was only a few, not a metric ton! Which me a year ago would have completely come home with!! The trip was short but sweet and I was very thankful we could take the time, just us two, to see a show, and sightsee together. Home now for a couple days, I have spent the last two decluttering and running errands. Today, it was time for a break! 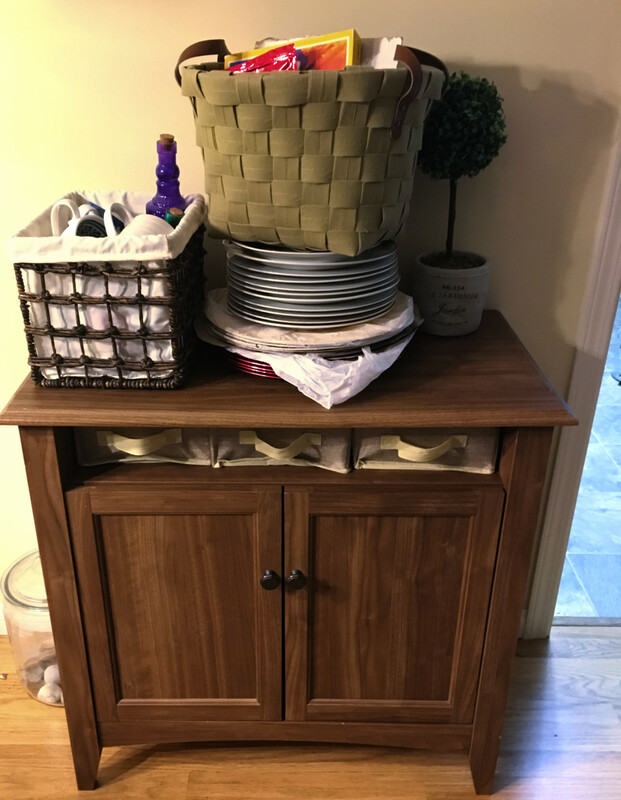 The decluttering has not just lightened the load my house was holding but the load my shoulders were holding too. I have let everything else slide (cleaning, laundry, etc.) and am just able to focus on the process with the kids gone. And I am just so amazed! I feel so much lighter. I feel like the time I have spent has not been wasted or in vain and I can't even begin to share how different it already feels inside my homes walls. I actually have run out if room in the section of the garage I had cleared for the sale stuff and am now making piles inside the house that will need to be carried out on Saturday morning. It's literally a TON of stuff! And I am very excited to be done with it all. Start small. I started small with the place I was decluttering. The bathrooms were my first stop and weren't to bad to complete. And I managed them okay. Time was a second thing I started small. Setting a timer for 15 minutes was where I began because I literally couldn't handle much more than that or I'd become overwhelmed, the bathroom was okay, but places like my closet, craft room, etc, I needed to begin at 15 minutes. Then when that was over I'd assess. If I felt good, I would set it for another 15. And so on. Now I can go for over an hour easily! 2.Be sure you are doing this for the right reasons. I don't believe this process is all that is helping me get a hold of my clutter and my life. I believe for me, that God has brought me to this place in my life, where I am ready for this change. A year ago, I would have fled and cried over even thinking of it all and never even tried to begin! My desire is not for a quick fix, it is for a life long change and so I am willing to put in the work! Having set my deadline has really given me motivation. I called to place the add in the paper, booking it over a week ago, so that I couldn't change my mind. I have literally made a hard and fast deadline! Coming back around. I have gone through rooms and closets more than once at this point. Coming back through and doing another "sweep" of the room, tackling different boxes each time. I honestly have gone through my closet 2 or 3 times now. Each time with another load to move out to the garage! Emotional boxes and items. I just keep coming back around to those bins. Little by little I am getting rid of stuff. And with my deadline, I still have the desire to keep coming back. Kids stuff. As you know, my kids are away right now and so including them in the process isn't happening, BUT! I have made very sure over the past month to take note of what they have been playing with, and so when I have gotten rid of their items, I am able to not give it a second thought on if they will miss them. Only doing my own stuff. So with this process I have only been decluttering my items and the things that are classified as my "Homemaker" domain. (My words, not anyone else's) I am fully letting my hubby do his stuff and office. Not that he is against this process, but I have figured out that I am invested in it because I am doing it. And if he wants to see real change, he needs to be invested in it too. And through communicating, this is fully his desire as well! Designated dropping spaces. I have set aside spots in the house for stuff that is going. As we are doing to garage sale, I haven't taken anything to donate. A bunch of kids stuff has gone to a kids consignment store. But the rest is here. Having these places for the stuff has helped me feel less overwhelmed as it A)Shows my progress-the piles are huge!!!! B)Doesn't take away from the visual progress in the other rooms. Prayer. I keep finding that involving God through my process has helped me keep the right frame of mind. I'm not perfect at this. But I definitely notice I feel more at peace for longer if I include Him in my walk through this leg of my journey. In the words of Dori, "Just keep swimming, just keep swimming..." You will make progress if you just keep going. I have seen such amazing results so far!!! Please email me or instagram message me if you are going through a journey like this too! I'd love to hear all about it! !